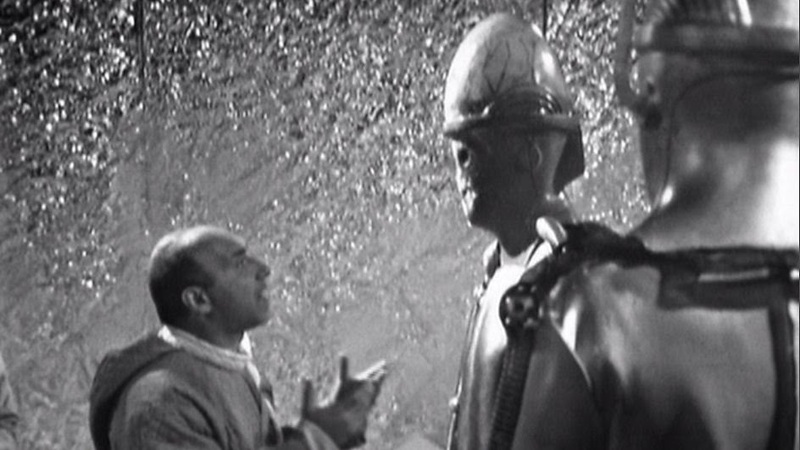 Alien Explorations: "Doctor Who and The Tomb of the Cybermen" echoes in "Prometheus"? 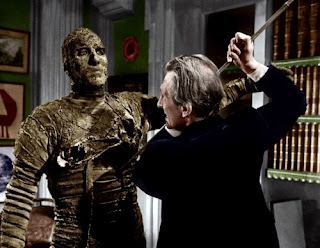 "Doctor Who and The Tomb of the Cybermen"
Comparisons can be made by between Prometheus and an old Doctor Who series "Tomb of the Cybermen" starring Patrick Troughton as the Doctor shown on TV in 1967. What it comes down to is the story of scifi twist on a Mummy horror film featuring an archeological expedition soon hijacked by the accompanying power hungry people who funded it an it's who want to bargain with the sleeping cyborg giants that have been asleep for hundreds of years in a tomb like complex but the cyborg giants don't give in to their plans. The cybermen had put themselves into a frozen state to survive and the human race would be drawn in by their inquisitiveness. What actually forced them to do this wasn't really made clear. Because the Doctor had destroyed their planet and then their machinery and supply of replacements had depleted, they were becoming extinct. Something that seemed to be important at the time of the making of this Doctor Who story was the fact that there was a big rumour in the newspapers in 1966 about Walt Disney's body been frozen, put into a state of cryogenic suspension, waiting for a cure for cancer and Walt Disney would have a second coming. So with that there seemed to be a lot of interest in Erich Von Daniken investigating where spacemen could have landed and his book Chariots of the Gods would come out in 1968, the years after Tomb of the Cybermen was released. 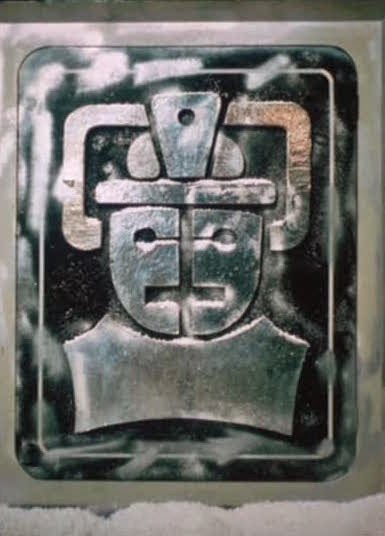 Gerald Davis back then was aware of Daniken's concept that there was the idea was that Spacemen in Pre-History had perhaps left clues which the human race would find out when they had advanced to a sufficient stage and this was the general idea behind Tomb of the Cybermen. 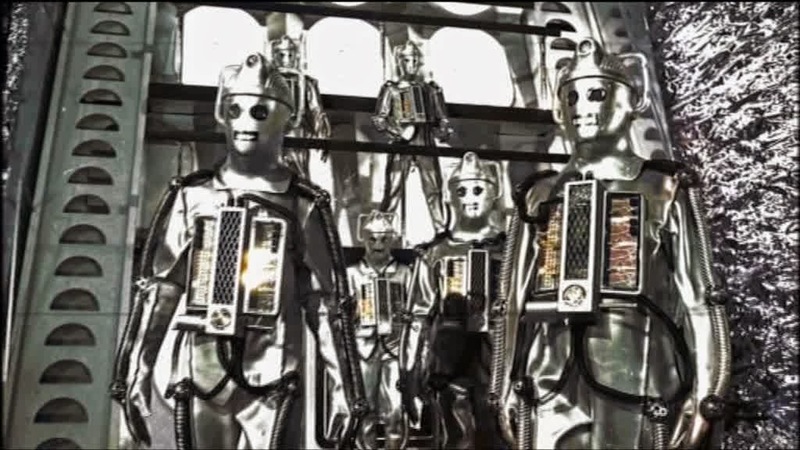 The humans in the story only got inside because of their knowledge and primitive people would not have been able to get in, so the Cybermen would have use it as a trap to get these intelligent people and use them. It seemed almost as if the Prometheus scriptwriters had read the scriptbook for the Tomb of the Cybermen and noticed the Davis' words about about how the Cybermen left clues for the human race to find , pertaining to Von Daniken's idea. In Tomb of the Cybermen, Kaftan a member of the Brotherhood of Logicians, along with her colleague Klieg, and they have financed Doctor Parry's expedition to Telos, they turn out to be interesting in nothing but the actual Cybermen rather than the interior of the tomb like building. It comes to a point where Kaftan and Klieg hijack the mission with the use of force. Klieg working out the controls revives the Cybermen who have been in hibernation for 500 years. The leader is a fairly gigantic humanoid perhaps looking about seven foot, and the Klieg wants try to bargain with the Cyber Controller to gain power but in doing so meet their own doom. 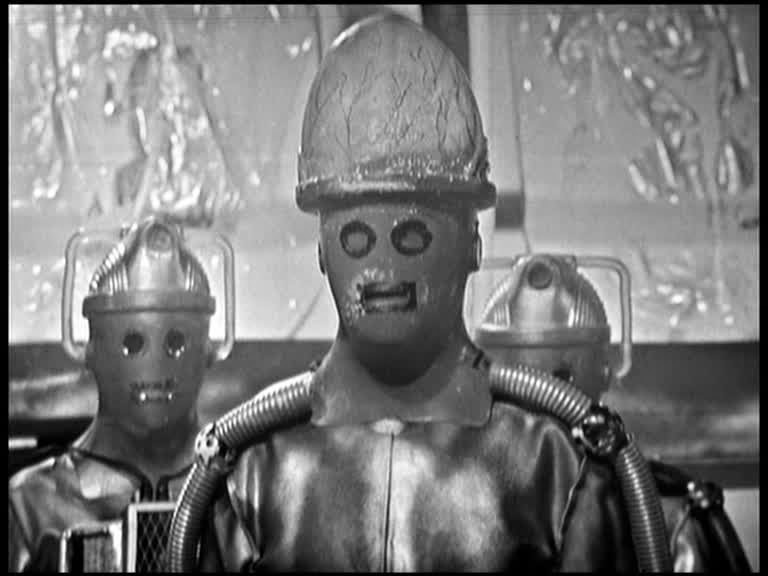 The Cybermen are an intelligent possibly humanoid race, who have replaced most of their body parts with plastics and mechanical parts. Their leader the Controller who is the most threatening of all, appears like a seven foot giant. The Cybercontroller with enlarged veined dome. The Cybercontroller grabs Klieg by the arm and almost crushes it, reducing him to his knees before throwing him backwards on the ground. The cybermen have set this whole thing as a trap to bring people of superior intellect in so that they could be turned into cybermen. One of the Earth spaceship pilots who asks what they're going to gain from all of this. 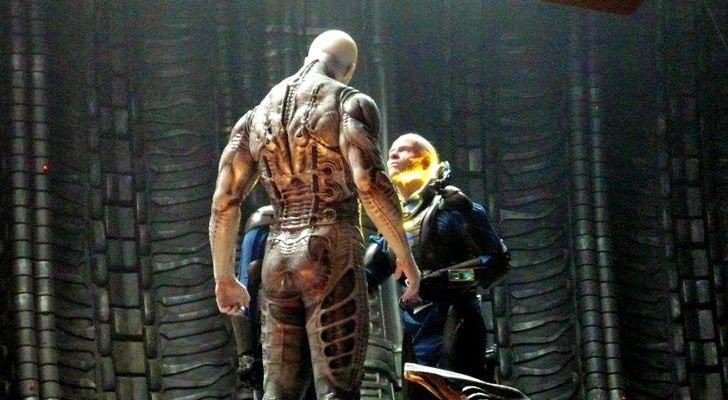 Kaftan replies "We are going to build a better world "
In Prometheus, Once David has discovered a living giant asleep in his Egyptian sarcophagus like hibernation crypt, Peter Weyland the man who has built Weyland Corporation whose company slogan is "Building better worlds" is the person who has financed the expedition and has been revived from hibernation. This tall humanoid wears a suit that appears to be organic and technological but one can not work out wear it ends and the giants own flesh begins. Peter Weyland immediately takes over the expedition and to wake up the giant out of his hibernation and ask him how to extend his own life, but since the giant human is angered and everyone he can lay his hands on. And then as it seems that the Engineer only has plans to take off in his spacecraft to travel to Earth and unleash on it a cargo of black stuff that perhaps will transform the human civilisation perhaps in the way that Fifield and Holloway had both begun to transform. Naturally, Kit build his own versions, Mark Pedlar remembers 'Dad used to build electric cats, mice, little Heath Robinson devices, very sophisticated for those days that would react to light. They were on wheels and their heads would move. He used to bring them home."